German historian; born July 20, 1851, in Berlin. Destined for a commercial career, he began business life in a Berlin bank in 1869. There he remained for some time, but ultimately went to England, going to Manchester in 1871. 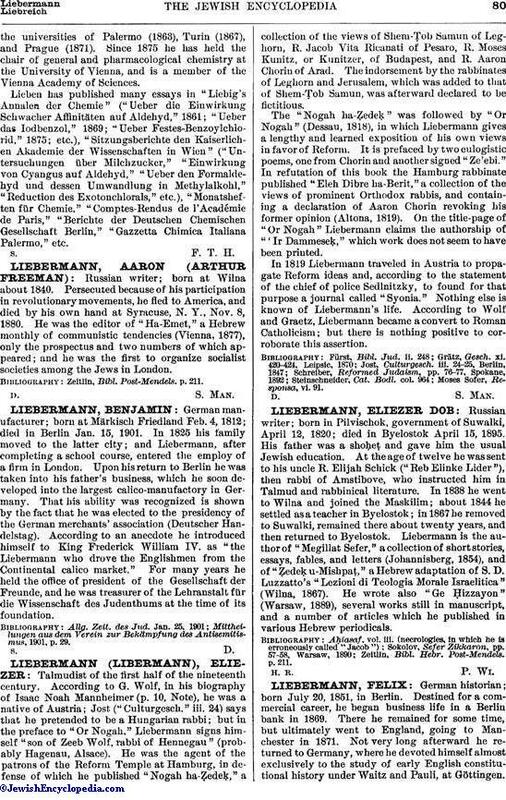 Not very long afterward he returned to Germany, where he devoted himself almost exclusively to the study of early English constitutional history under Waitz and Pauli, at Göttingen.On this subject he has published several monographs, beginning with "Anglonormannische Geschichtsquellen" (Berlin, 1879) and culminating in his monumental edition of the "Gesetze der Angelsachsen" (Berlin, 1898-1903; published by the Savigny Fund). Many of the essays contained in this great work had been published previously by Liebermann, either separately (e.g., "Quadripartitus," 1893; "Leges Edwardi," 1896; etc.) or in journals, as the "English Historical Review," "Transactions of the Royal Historical Society," etc. He contributes an annual review of the publications on English medieval history to the "Jahresbericht für Geschichtswissenschaft." In recognition of his contributions to English history the University of Cambridge conferred upon him the honorary degree of LL.D. 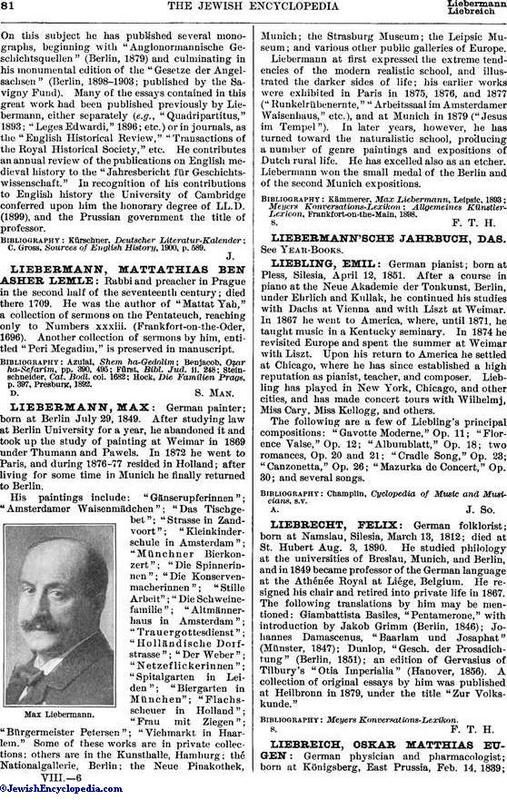 (1899), and the Prussian government the title of professor. C. Gross, Sources of English History, 1900, p. 589.